Being a moderate/severe special education teacher, it is safe to assume that my day is different than the typical teachers day. I don't say mean to say that my day is more difficult or challenging in any way. Simply put, it is different. It is this difference that made me want to be a special education teacher. Today I am going to talk about #resourcesthatgive students a chance at success. We have all had those students that make us work for our money. Whether it be a busy body student, a struggling student, or a student that just needs some extra love. For me, this student came to me when I was just as second year teacher. I was a wide eyed, unexperienced, optimistic teacher. I thought I could handle everything. And I had...up until when this student walked into my classroom. This student was being transferred to me mid-year because I was told he just needed a "fresh start." I said, "sure! no problem." Little did I know this students history of moving from school to school and teacher to teacher. This kid had exhausted all of our districts resources and I was this student's last chance before he was going to be sent to a non-public school designed to meet students with the most extensive behavioral needs. 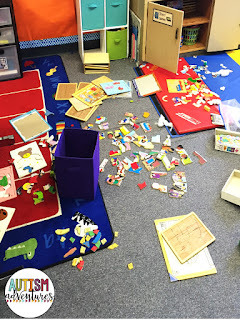 Of course, I did not hear all of this until after the first day with this student. To be honest, I barely made it to 3 pm without quitting. The first day was rough. This student was testing me and our staff. He was aggressive, disruptive and challenging. He was aggressive, disruptive, and challenging. He was seeking help, attention and love. After a few days with him, I realized that these things meant that he was seeking help, attention and love. These things he so badly needed were disguised in these "bad" behaviors as most teachers call it. I was young and I didn't have a lot of resources at the time. However, I knew that he needed help. I knew that he needed a way to communicate his emotions and a way to feel safe. That is when I developed a Calm Down Kit for him. When I first thought of the idea, I had no idea what it would entail. I knew I needed some different options depending on his mood. Sometimes he needed help calming down, or communicating or following directions. I wanted to create something that would be easy to access, something sturdy and something reliable. With that, I created my first calm down kit. At first, he required a lot of adult assistance. 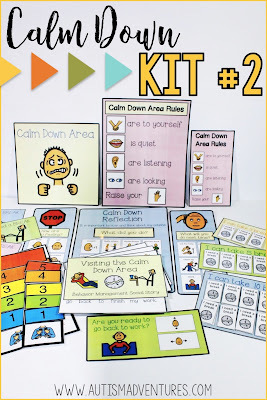 When he was demonstrating signs of frustration, anxiety or anger my staff or I would pull out the calm down kit. We would model proper breathing techniques, calm down techniques as well as express our emotions. Over time, he began to see how he could use these tools to help himself. Before we knew it, he was expressing himself. It was not an "overnight" fix by any means, its as a gradual success. It took time, teaching and patience. But before we knew it, he was able to pull out the resources when needed to cope with his emotions. Was this a perfect fix, of course not. We still had our days where he needed extra help, but it was not like it was before. He just needed simple reminders on how to work. 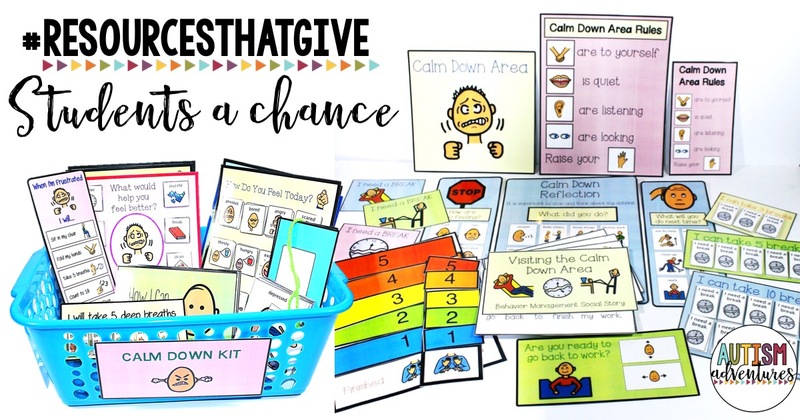 This Calm Down Kit Gave him a second chance at success in school. My first calm down kit was such a success. 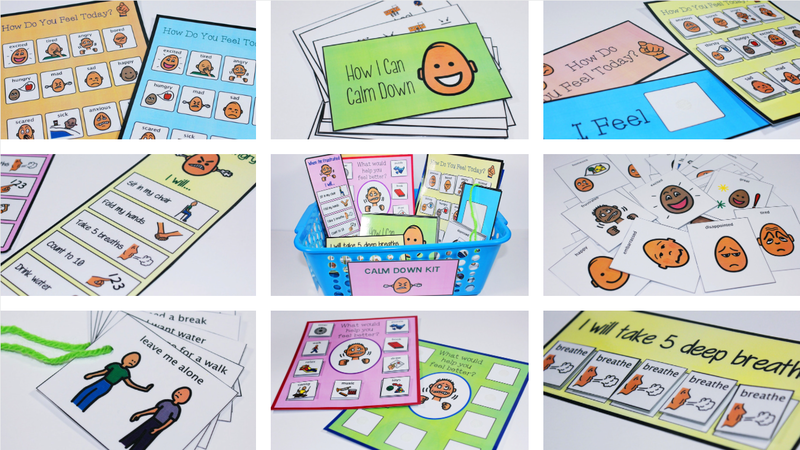 Over time, I started to need more visuals to help make my "calm down kit" a complete resource. 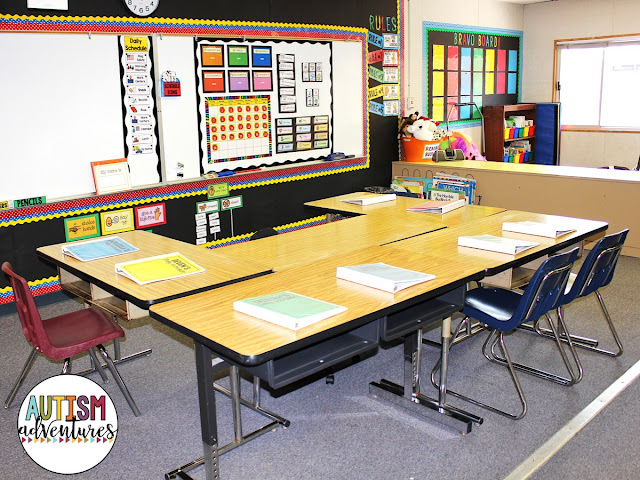 As students come and go, my classroom's needs changed. With that, I developed my second calm down kit. I decided I needed a "home" for my calm down kit. A place where it would be stored and a safe place for students to go to. With that, I developed my calm down area. 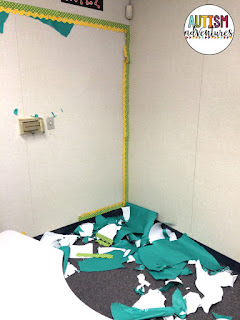 I added some visuals to allow students to request a break to the calm down area. I also wanted to limit how many breaks they could take at once. 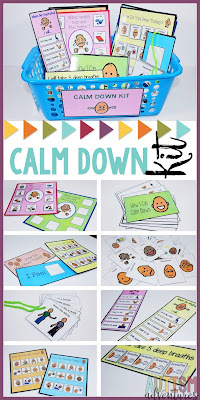 With the success of my first calm down kit, I decided to make the second one. 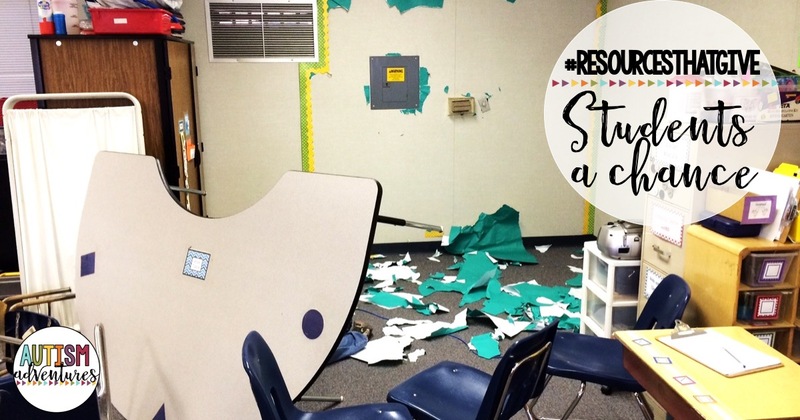 These behavior resources are a game changer in any classroom. Over the years, educators have shared with me success stories with these resources. The have been used at home, in pre-school, elementary and high school. These resources are the key to helping students learn to cope with their own emotions and to communicate their feelings. 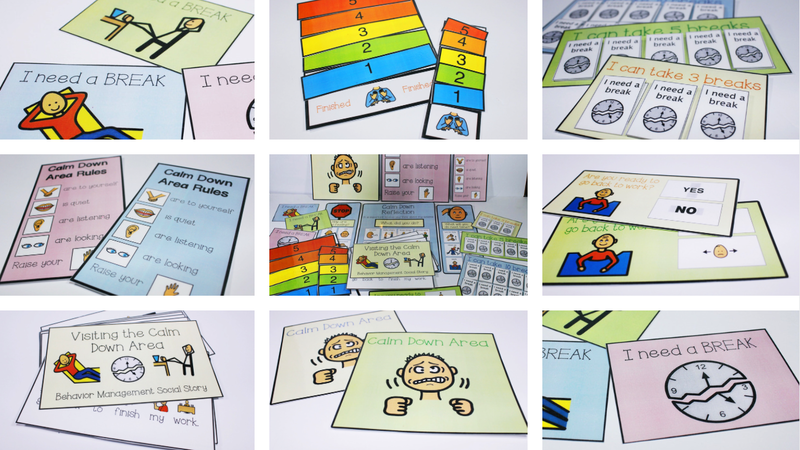 These #ResourcesThatGive students a chance are available in my TpT store.